Sometimes during my gaps in blogging, or in a times when I have lots to talk about, projects slip through the net and never get spoken of. They aren't secret, they just get overlooked. Especially if the early stages are a little "boring" to photograph or discuss. This project is one of those. 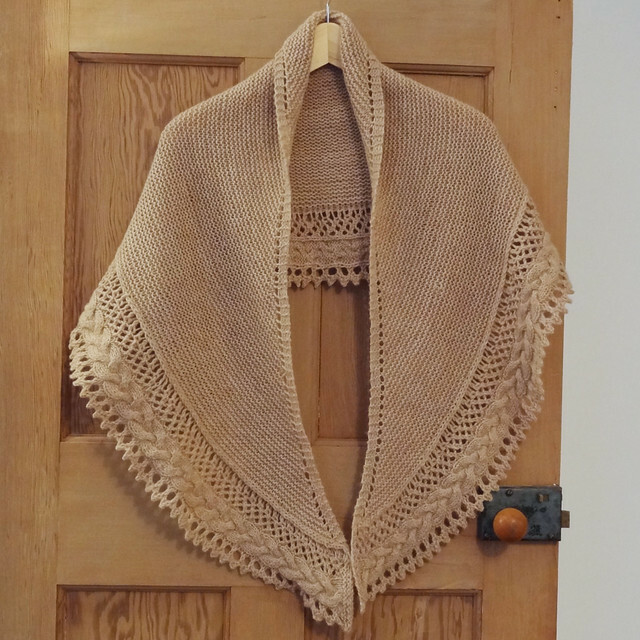 I have no idea how a shawl I started in October and finally finished in January slipped through my blogging net. That is a good long time to talk about something, but sadly this project remained a secret. Going back in time I made a project in 2010. It really wasn't the most successful garment I've ever made and it still sits in a cupboard waiting to be rescued. I even bought the Carol Feller course, Sweater Surgery on Craftsy. to learn how to rescue this garment. I haven't done the class yet so I haven't rescued the cardigan. However, whilst this lovely cardigan is unworn, I have never forgotten the leftover yarn from the project. I got this yarn incredibly cheaply, as I think it is discontinued now. 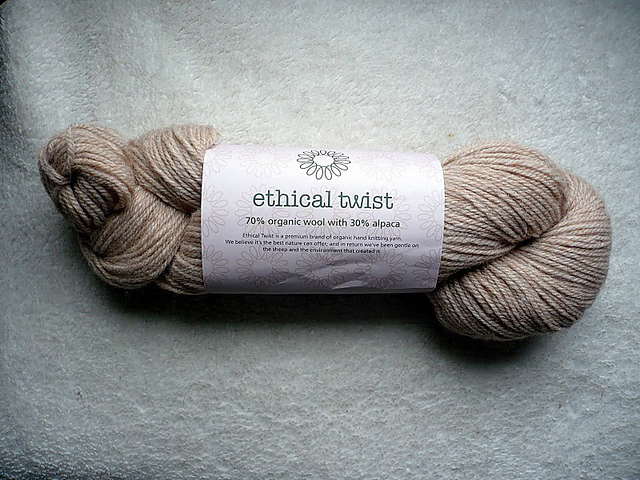 It's Stylecraft Ethical Twist 70/30 and is a DK yarn comprised of 70% organic wool and 30% alpaca. It is warm and fuzzy, but the problem with my cardigan was the drape, it had too much. So when I searched for a pattern to use up my leftovers I tried to take this into consideration. I finally settled on French Cancan by Mademoiselle C. This shawl pattern was originally knit in a merino/silk blend and I thought the drape of the shawl could work with my yarn. I also liked that you could tailor the size of the shawl to fit with the yarn quantity that you had. 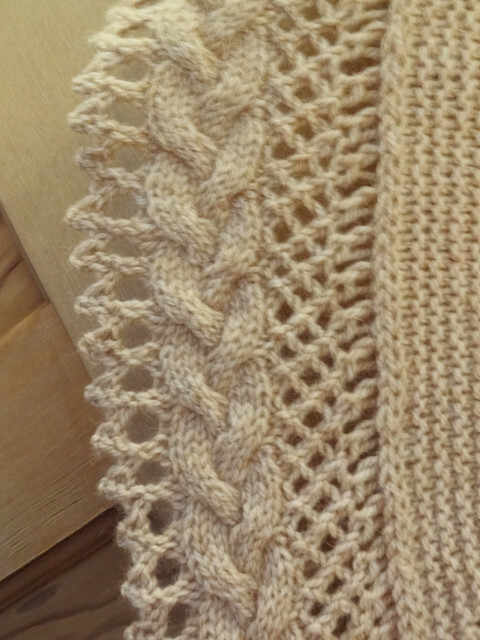 The elongated half-circle shape is created from the top down, starting with the garter stitch body. Knitting the body was incredibly straight forward and was knit until a certain percentage of the total yarn was used up. 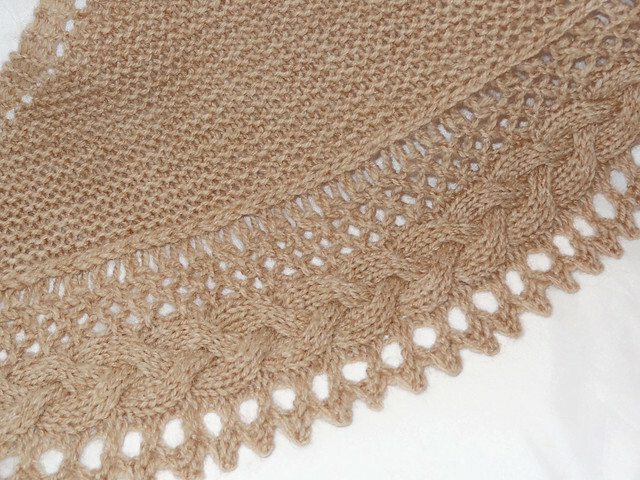 At this point, the lace and cable edging was knit on to the shawl. The edging, for some reason, took me ages to get the hang of and the transitions at the beginning and the end of edging were a little tricky. However, I enjoyed the challenge, and the edging it produced is beautiful. So beautiful, that the instant I showed my lovely new shawl to my friend and saw her reaction, I knew she had to have it. I have lots of shawls that are this sort of shape, and she has none. I had to gift it to her. I only managed to take a couple of quick snaps before it left me. I'm glad I didn't have too long to get used to having it, because it is a lovely comfortable shawl. Maybe, I'll knit myself another one, now I have the hang of the edging! 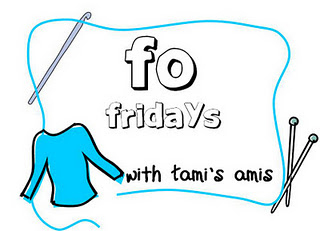 As is usual, when I post a finished object on a Friday, I'm hooking up with Tami. To view lots of lovely finished projects, click the button.